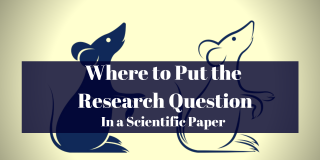 Research requires us to scrutinize information and assess its credibility. Accordingly, when we think about various phenomena, we examine empirical data and craft detailed explanations justifying our interpretations. An essential component of constructing our research narratives is providing supporting evidence and examples. The type of proof we provide can either bolster our claims or leave readers confused or skeptical of our analysis. Therefore, it’s crucial that we use appropriate, logical phrases that guide readers clearly from one idea to the next. 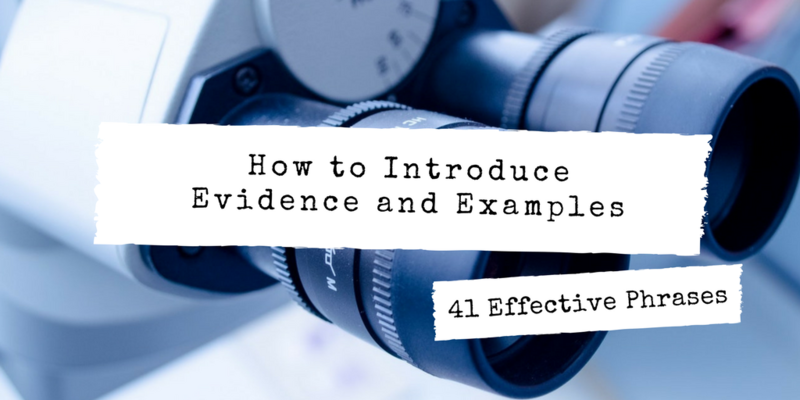 In this article, we discuss situations in which evidence and examples should be used and catalog effective language you can use to support your arguments, examples included. Evidence and examples create the foundation upon which your claims can stand firm. Without proof, your arguments lack credibility and teeth. However, laundry listing evidence is as bad as failing to provide any materials or information that can substantiate your conclusions. Therefore, when you introduce examples, make sure to judiciously provide evidence when needed and use phrases that will appropriately and clearly explain how the proof supports your argument. emphasize a point by highlighting a specific situation. To assist you with effectively supporting your statements, we have organized the introductory phrases below according to their function. This list is not exhaustive but will provide you with ideas of the types of phrases you can use. 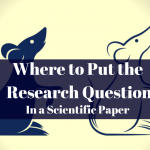 ← Can I Use First-Person Pronouns in a Research Paper? Yes!